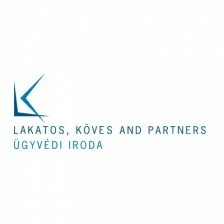 Lakatos, Köves & Partners is a law firm offering cutting edge know-how and solutions. We are the front-runners in implementing innovative approaches and solutions to help our clients to develop business and navigate through the challenges they face. In all fields, be it a courtroom, a negotiating table or our offices, we strive to reach the best legal advice for our clients. We are responsive, efficient, thorough and fast. Our goal is to provide the best legal advice in Budapest, Hungary.